Lavender Essential Oil has literally been used for therapeutic applications for thousands of years and is one of the most highly regarded of the aromatics. 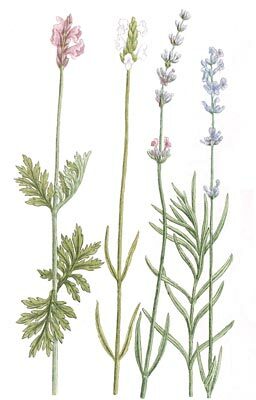 One of the earliest recorded claims of Lavender oil's therapeutic qualities comes from the nineteenth century when tuberculosis and infection was rampant in France. It was found that the people working in the lavender fields of Provence were far less likely to succumb to infection and respiratory ailments, such as tuberculosis which was virtually unknown in the area. This discovery led to the first clinical tests in 1887 which were to prove the antibacterial properties of lavender essential oil. Today in the 21st century where stress and anxiety is taking its toll on us all, Lavender oil has been proven to alleviate anxiety and to enhance our sense of well being enabling us to significantly improve our lifestyle through personally enhanced performance while at the same time strengthening our natural defenses against infection. Essential Oils are the key ingredients in Aromatherapy. Pure essenses from aromatic plants are nature’s gift to the human body and spirit. The heady scents and health-giving properties have been prized since antiquity. Aromatherapy is the modern interpretation of this venerable practice, it uses pure essential oils, derived from plants, to sooth ailments and promote good health. The benefical effects of essential oils to the body are applied many ways, through baths, massage, compresses, vaporisers, atomisers and inhulations. It cannot be stressed too often how important it is to use pure, natural, authentic essential oils as aromatherapy uses the pharmacological complexity of the plants for their unique therapeutic and olfactory qualities. Storing and caring for essential oils: Essential oils are extremely volatile, atffected by the environment, light, temperature, air and moisture. Store in cool, dark and dry places.